In 1744 the first known collection of nursery rhymes was published. It marked the importance and influence of nursery rhymes at that time. Several hundred years later, there are still practical and compelling reasons for including nursery rhymes in your lessons. Read on for details of just three of them. Many nursery rhymes lend themselves to being said or sung with actions. The combination of rhythm and movement stimulates the brain, enhancing the child’s learning experience and helping the brain remember the words and actions. Try it today with Six Little Ducks - FREE. Nursery rhymes are excellent preparation for rhythm work. Metre and word patterns lay the ground work for improvisation and composition. Beat sheets, like Little Bo Peep (Beat Sheet Colour) are effective for helping students feel the beat (free for a limited time). Keep an eye out for more beat sheets while browsing our nursery rhyme collection. Nursery rhymes communicated the social mood of the people because many couldn't read. They were literally the social network of their day, spreading a message and uniting communities. Hundreds of years later, they are still shareable, memorable and enjoyable as a group. Children love to sing nursery rhymes together. Try them while sitting in a circle to encourage social skills like making eye-contact, sharing emotions (via facial expressions and body language) and connecting through shared experience (participating in the same activity). Pat-A-Cake is a versatile example. Make up actions to the words with your class, or clapping sequences in partners. Pat-A-Cake sheet music, beat sheet and worksheet (Read, Write and Discover) are free for a limited time. Nursery rhymes have stood the test of time, which means they often have interesting origins that might seem strange to us now. 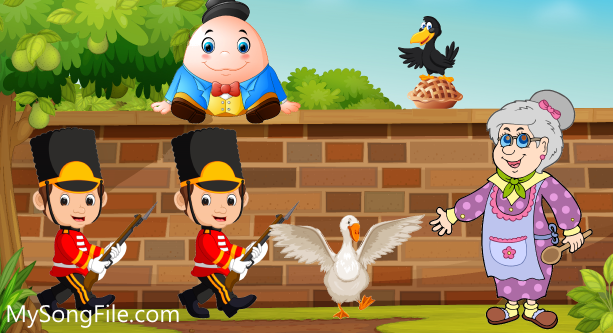 ABCKidsInc.com have a well researched article on the history of 50 nursery rhymes. My Song File have over 50 nursery rhymes as well as many associated resources like black and white beat sheets, colour beatsheets and a new worksheet type Read, Write and Discover. Many of the nursery rhymes on My Song File are free, and the resources below are free for a limited time. A beat sheet to accompany 'Little Bo Peep' - in 6/8 metre. A traditional English nursery rhyme in 6/8 metre. A colour beat sheet to accompany 'Pat-A-Cake' - in 6/8 metre. A worksheet that gives students the opportunity to read and write on the staff in 6/8 metre.